My favorite event all year is almost here and guess who is judging it again this year? ME! Sunday, August 23 at 3pm. We'll have drink & oyster specials to enjoy while you watch 2 dozen of Chicago's best shuckers compete for a $1,000 cash prize! Come early for our Shrimp Boil from 12-3pm in the Beer Garden patio for just $25/person which includes shrimp, potatoes and corn. 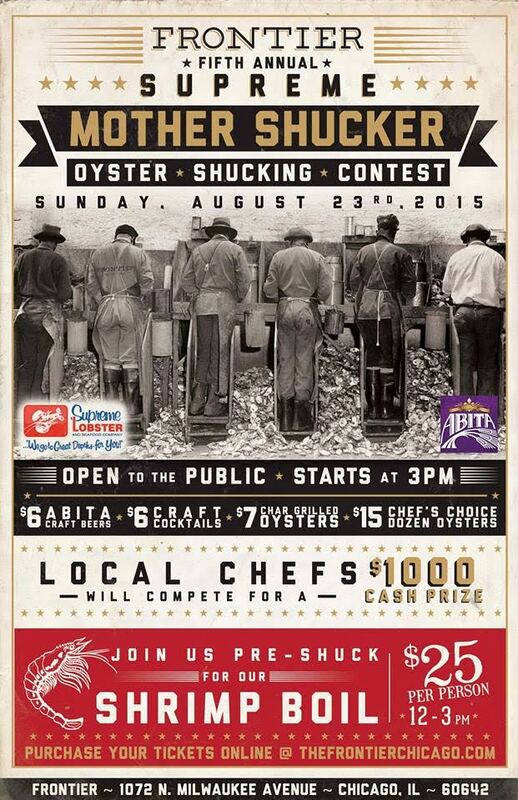 The Mother Shucker Oyster Shucking event is free and open to the public! Event Time: From 03:00 P.M. to 07:00 P.M.